Studies have shown that indulging in sports helps the body build more connections between nerves, leading to increased concentration, enhanced memory, stimulated creativity, and better-developed problem solving skills. 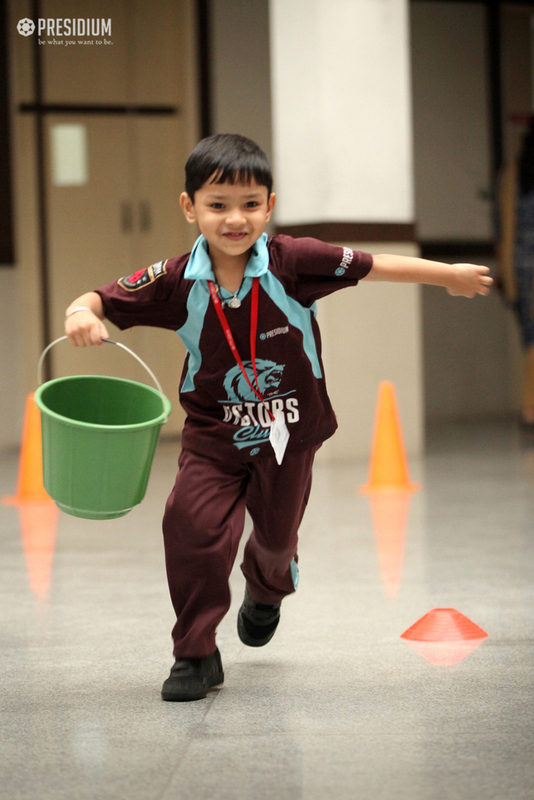 Keeping this in mind, we recently organised a fun filled sports activity for our little ones from grade Nursery. 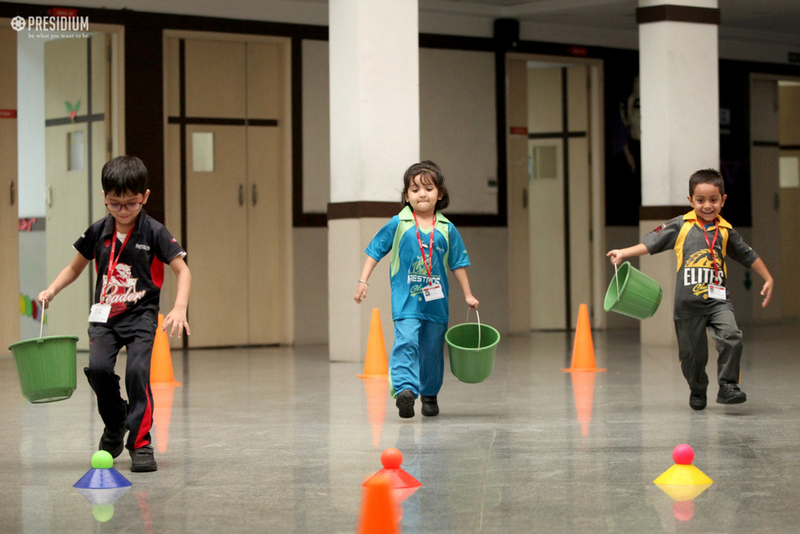 The activity included a ball & bucket race wherein they collected the ball in the bucket to finish the race. 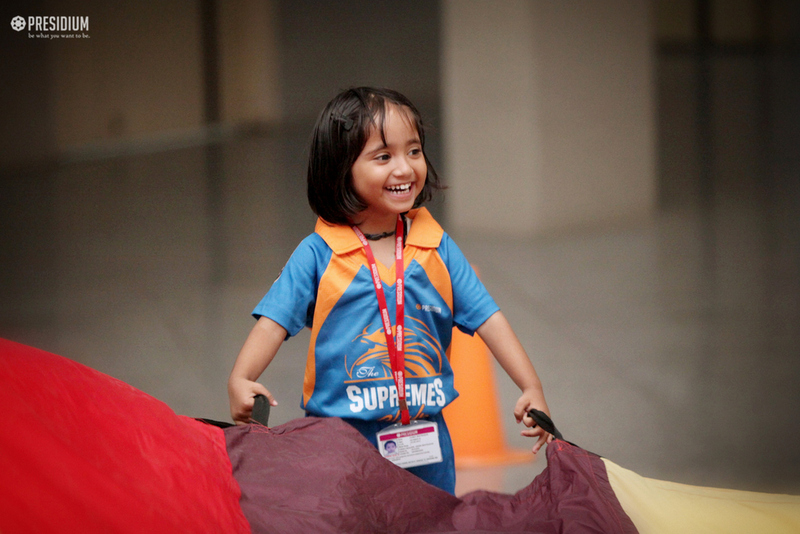 Another activity included some fun with a parachute. 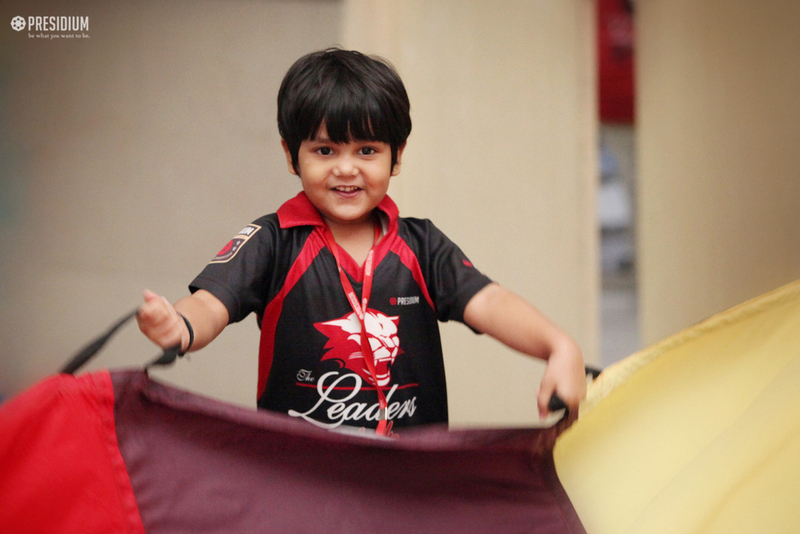 The toddlers had a gala time with their peers and enhanced their skills simultaneously. It was a great day of learning with fun!